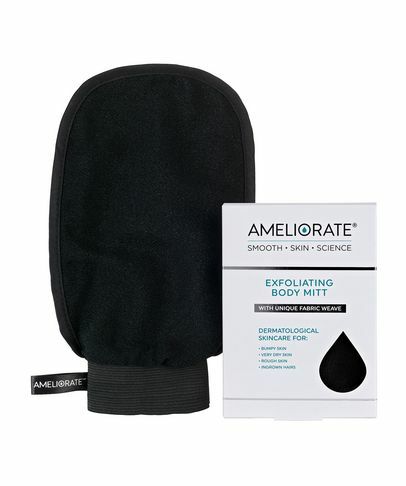 Born out of one woman’s frustration, AMELIORATE’s creator Annette was desperate to transform her ‘chicken skin’ arms. Having suffered from Keratosis Pilaris from an early age – a remarkably common condition which causes skin to appear rough, red and bumpy due to an excess production of keratin (an essential part of skin’s uppermost layers) – which results in the development of little ‘plugs’ or goose bumps, Annette decided to take matters into her own hands. 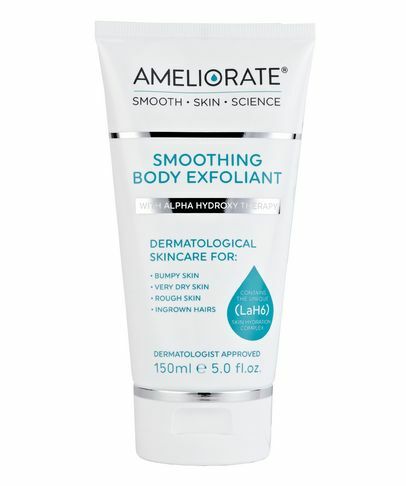 Nothing she tried had lived up to its promises, which is why she set about developing an exfoliating treatment and skin-smoothing body lotion, to gently resurface and intensively condition. Together, they’re a valuable therapy for sufferers of KP, as well as those who’re plagued with dry skin conditions – so liberate your limbs and bare your skin with confidence.